House of Ear is an immersive and intro-active sound parcours. It combines sound installations, self-performance scores and interventions around the idea that listening and hearing starts with thinking sound before it reaches our ears or even reflects in space. It is a traveling concept with site- and context-specific workshops, curation and build-up that started in 2018/19 as a masterclass for KASK/Ghent. Together with students and teachers we created an all-day presentation for Ear to the Ground Festival at De Bijloke. 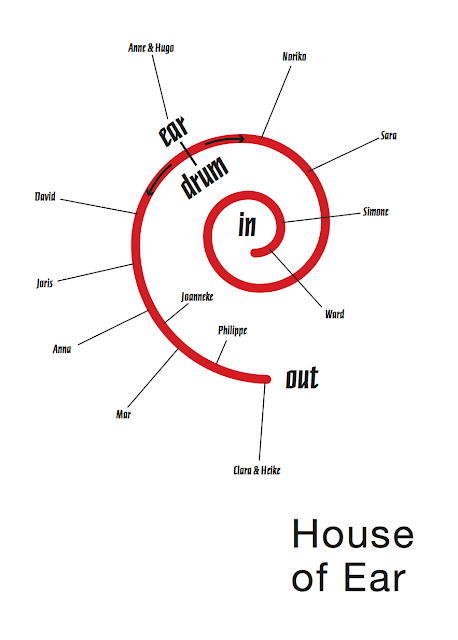 House of Ear (2019) is the equivalent of a detox session for the hearing and the listening, a workshop for intro-action (as opposed to inter-action). Michel Foucault’s concept "techniques of self" meets Pauline Olivero’s deep-listening strategies meets hashtags like #selfcare, #selfcaresunday en #metime, all thought from out aesthetic expression of a phenomenological interest. For this first occasion the participants of the masterclass House of Ear for KASK/Ghent by David Helbich change the dressing rooms of De Bijloke/Ghent into a series of rooms for a proper treatment of the audiences hearing and listening. Which obviously works best with a hint of humor. 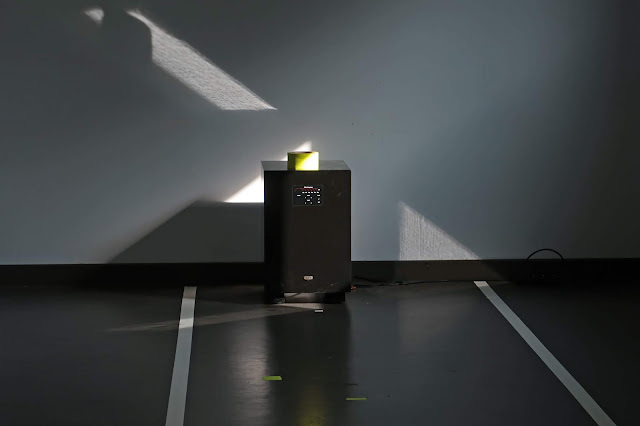 The first edition of House of Ear was a production by GAME (Ghent Advanced Master Ensemble) and CASC@KASK (research trajectory Heike Langsdorf) at the Ear to Ground Festival 2019 at Muziekcentrum De Bijloke in Ghent.